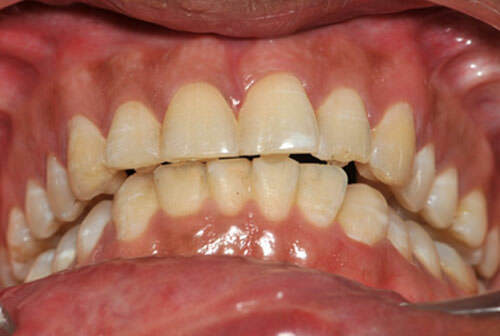 The clinician often faces the problem of bonding lower anterior teeth in deep bite cases as the occlusal forces can easily debond the brackets, particularly if there is a prematurity of any of these brackets. 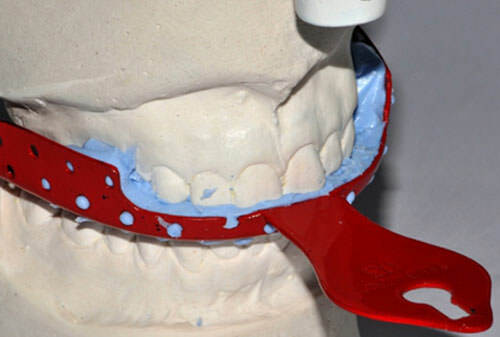 Here is a very practical and simple procedure to enable the fabrication of small precise composite bite blocks on the palatal aspects of upper anteriors. 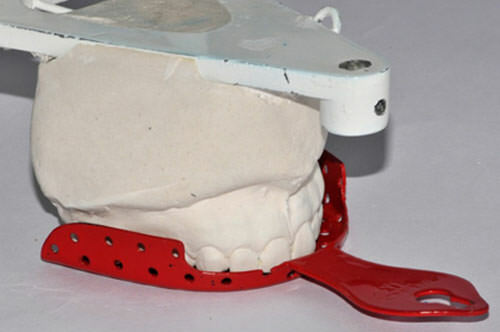 Key words: Bite Blocks, Deep Bite, customized for each patient. 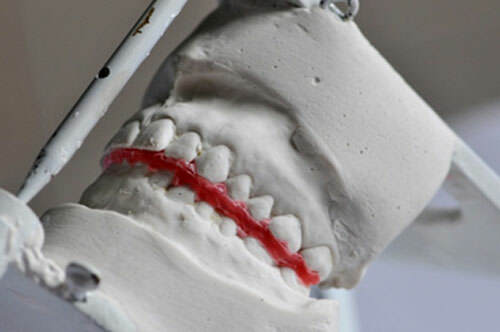 The bite blocks are used when bracket interference makes it difficult to bond the mandibular anterior and posterior teeth's at the start of the treatment. 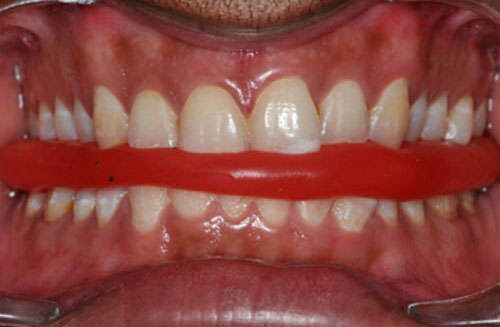 Earlier bite planes were used in class II division I and division II cases for the correction of deep bite with moderate overjet1. Bite planes can be fixed (1,2,3,4) or removable(5) . 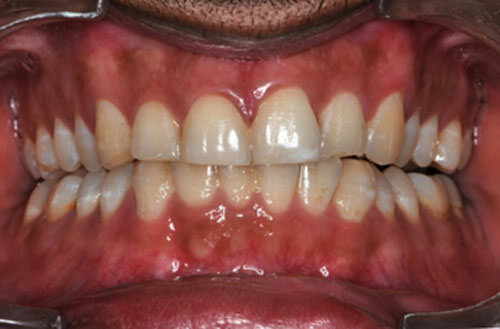 Removable bite planes depend on patient cooperation and can also cause mucosal trauma whereas the fixed bite blocks do not contact the lower incisors uniformly. The Palatal composite bite blocks (PCB) can be used to the following reasons. They are absolutely customized for each patient. 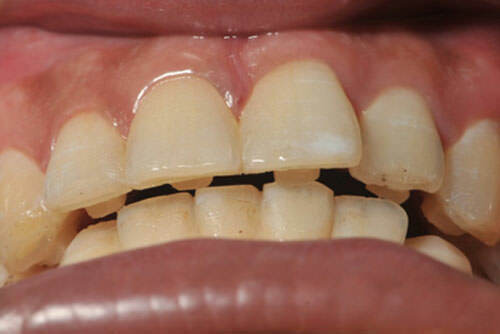 It is done by using routine materials in Dentistry. It gives an anterior bite plane effect. The patient is clinically evaluated with an extent of deep bite and the amount of bite to be raised. 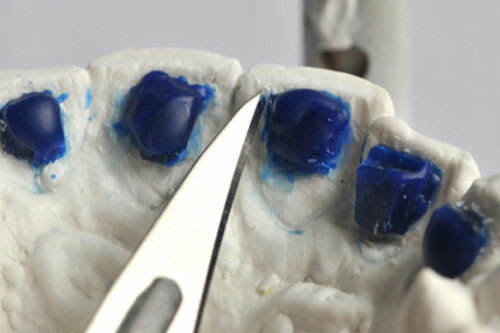 This can be done arbitrarily by bonding a bead of composite material on the occlusal surface of the lower first molar which can be fine-tuned by grinding of the composite till a satisfactory vertical relation is established. 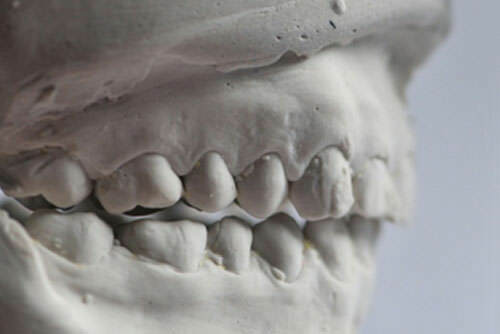 Impressions of both the arches are made using alginate. 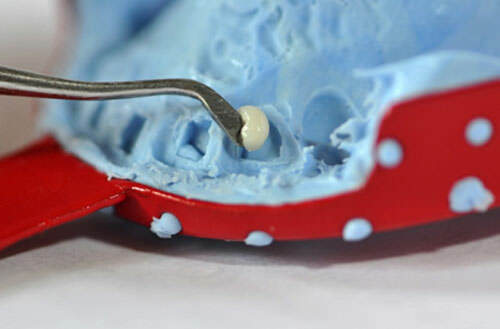 A wax bite registration is made clinically which is transferred to the simple hinge articulator. Thereby recoding the desired amount of bite opening required. 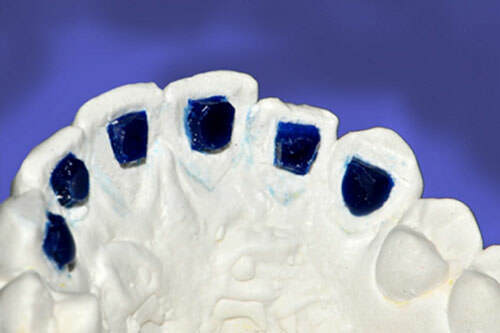 Small inlay or pattern wax blocks are placed on the palatal surfaces of the upper anteriors and each one carved out as individualized platform in such a way that all anterior contact simultaneously. 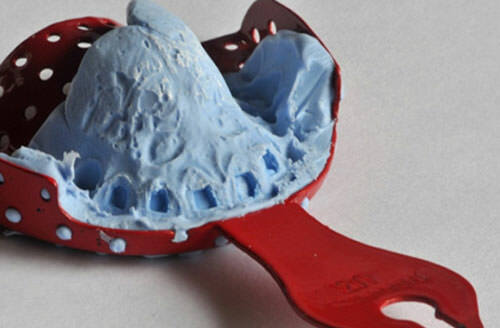 A specialized tray is loaded with silicon putty and the impression is made only of the palatal side. Take out the impression, wash and dry using a 3 way syringe. Load the depression caused by the wax platform using restoration composite material. The palatal aspects of teeth are prepared by etching and priming and the tray is transferred back into the mouth positioned properly. 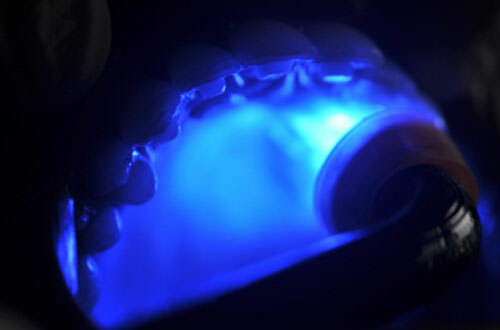 A UV light is applied on the labial sides of the anterior till an initial set of the composite is assured. The tray is removed again to confirm polymerization. Clinically, articulating paper is used to ensure uniform contacts of the lower anteriors on all the platforms. 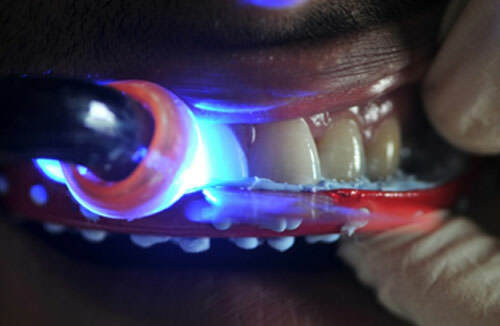 Once this is done the patient is ready for the regular orthodontic strap up. 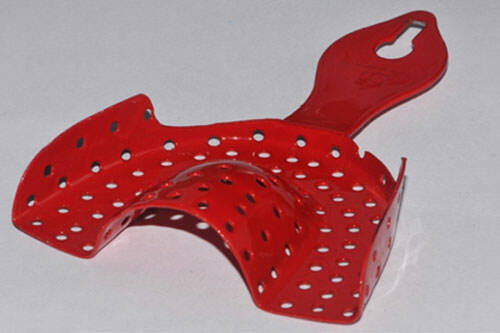 Customized individual anterior bite blocks. Does not require patient compliance. Uniform contact of the lower anterior on the platform. Does not interfere with the mechanotherapy. 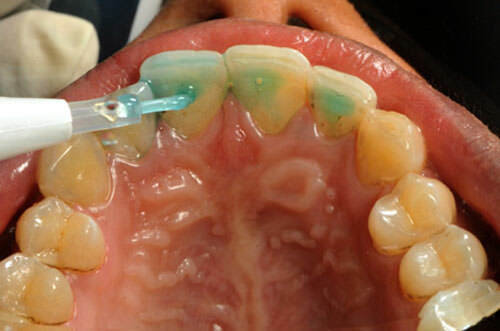 Helps to open bite (anterior bite plane effect). Philippe j. 1996 Treatment of deep bite with bonded bite planes. J Clin Orthod 1996; 30:396-400. Heinrich CK.1993 A practical bite plane for use with fixed appliances. J Clin Orthod 1993; 27:508-10. Madsen R.1998 Bonded acrylic lingual bite planes. J Clin Orthod 1998; 32:311-7. Jackson S, Sandler PJ.1996 Fixed bite planes for treatment of deep bite. J Clin Orthod 1996; 30:283-7. Banks PA, Carmichael G.1998 Modified arrowhead clasps for removable bite planes. J Clin Orthod 1998; 32:377-8.